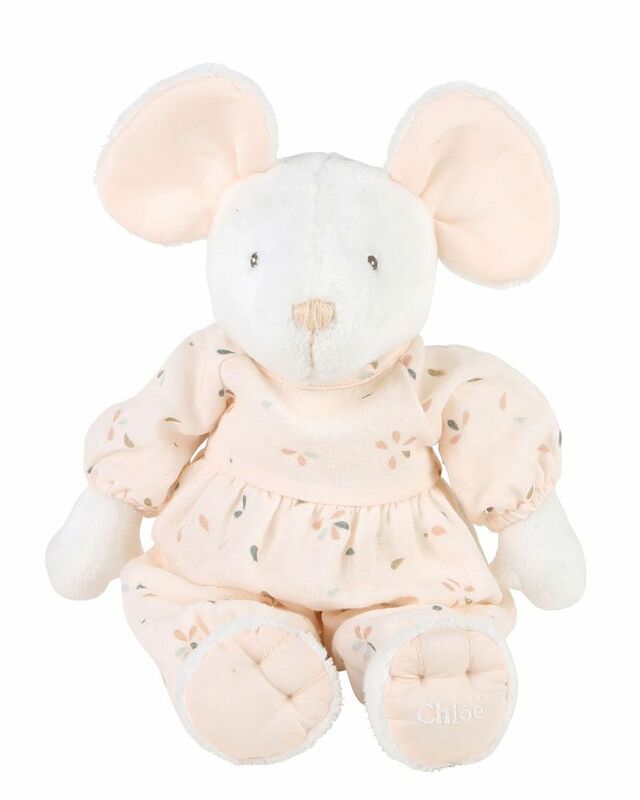 Chloé soft stuffed toy mouse with overalls in printed lange fabric. 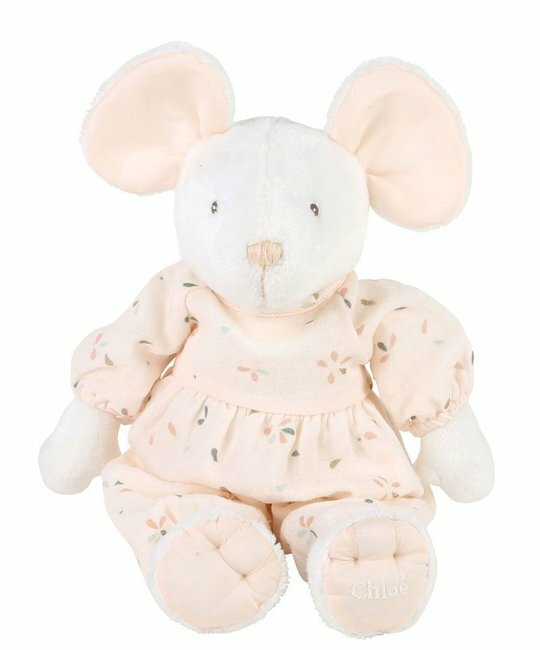 Sold with a Chloé card introducing the mouse. 100% Polyester, Trimming: 100% Cotton. Imported.